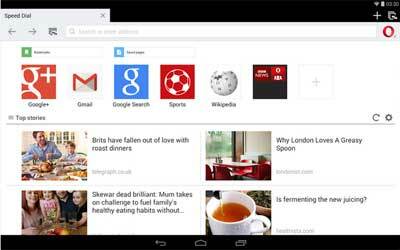 Previous version Opera Mini 28.0.2254.119154 apk for Android will help you to downgrade or install older app easily. This is one of the best Communication apps. The latest version is including more Facebook features. Considering that the users of Facebook are so many, the app gives new Facebook features to the users of the browser. They can now receive updated notifications of their Facebook account. This browser also provides features that can make you browse in private. The incognito with private tabs can be used. It will prevent your browser history to be detected. If you love to download multiple files, you can download multiple files at once using this browser. It will save more data and if the download is too big, the browser will wait until your device is connected to Wi-Fi before starting download the big files. This browser is also having a night mode in which it will automatically dim the screen at night. It will relieve your eyes for sure. This browser will allow you to save your favorite sites, making customizable layout, easily switch between tabs, and many more. Basically, using this browser will allow you to enjoy the very best browser for your Android device and also the fastest internet browser ever. There will be no more slow browsing or data consuming browsing. All will be taken care by this browser. The app can be easily freely. You do not need to pay anything to get the fastest internet browser ever. Download Opera Mini for Android right now to get the best browsing experience ever and enhance the performance of your Android device. I love this browser. It saves your money and also helpful for networks with lower data speed. You can also save pages in the browser.